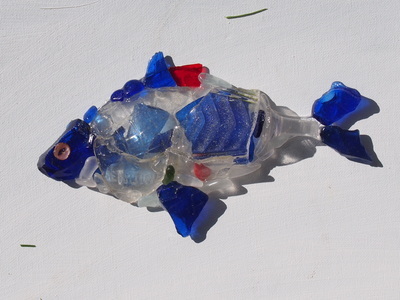 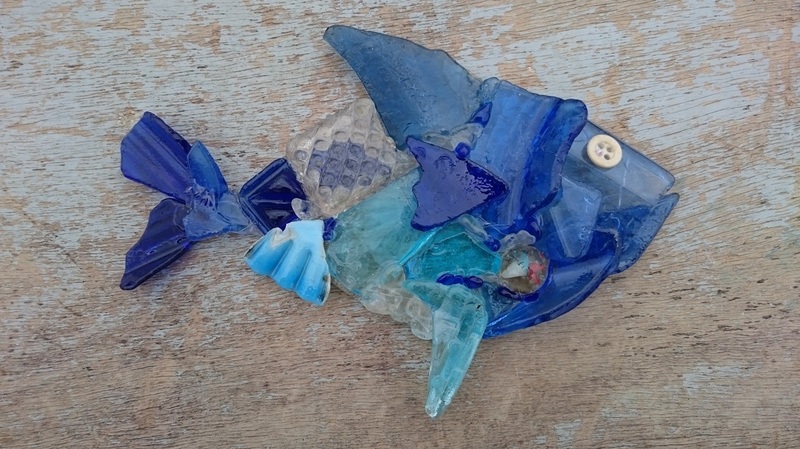 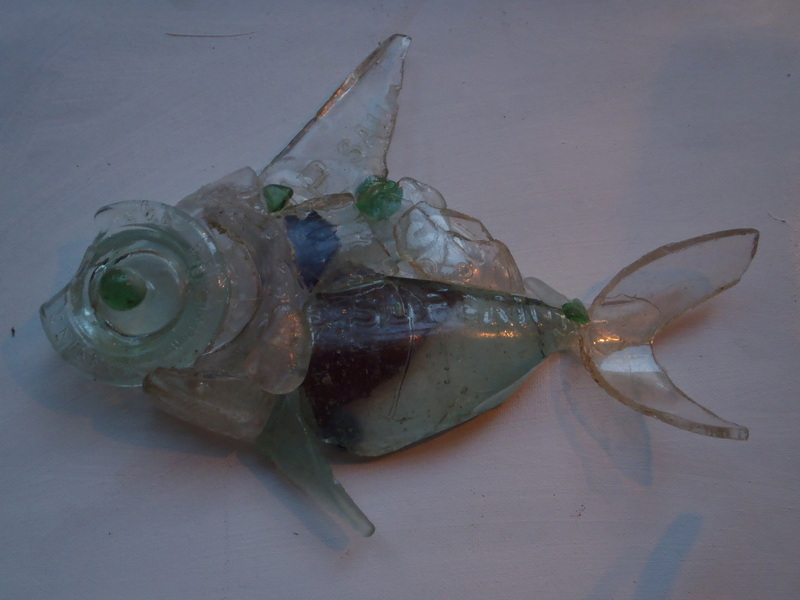 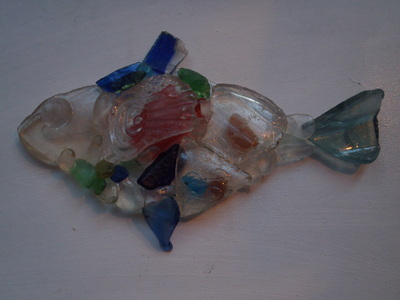 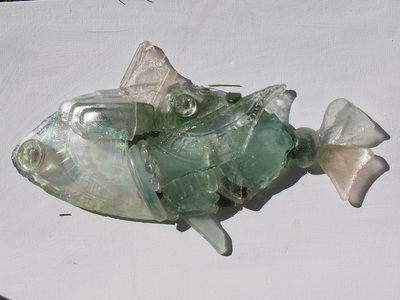 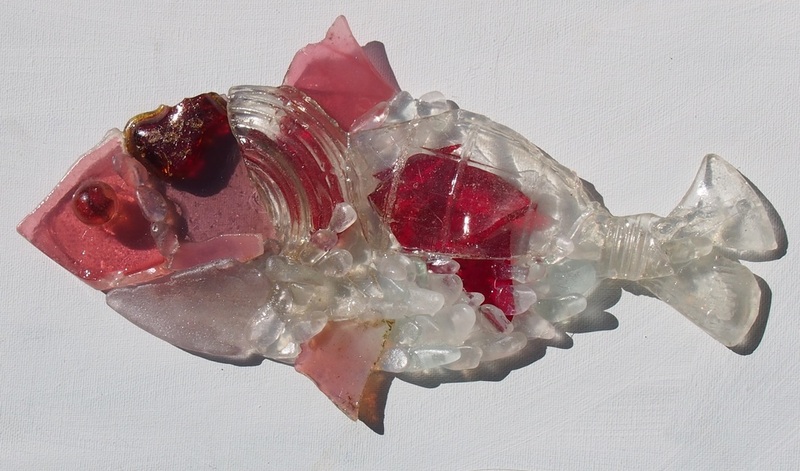 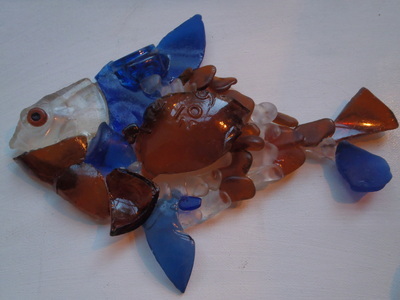 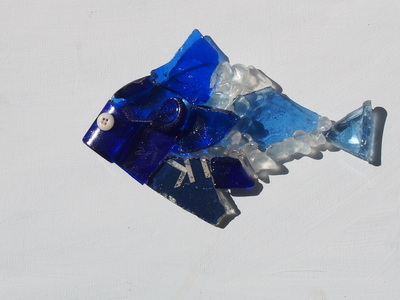 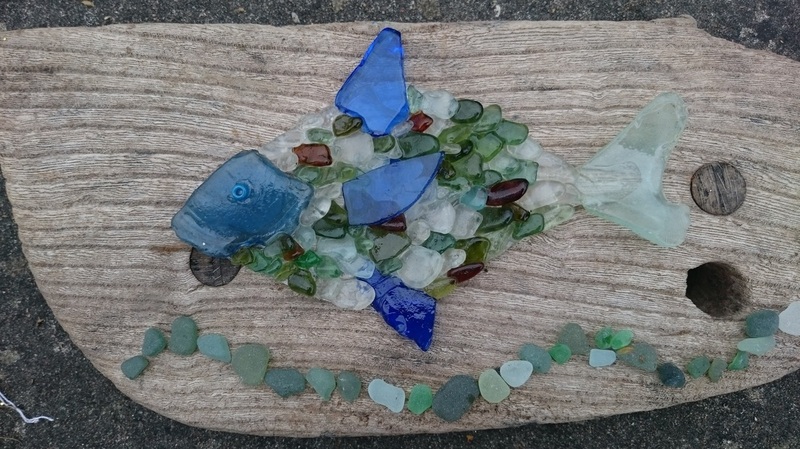 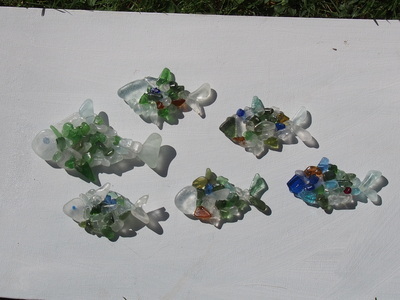 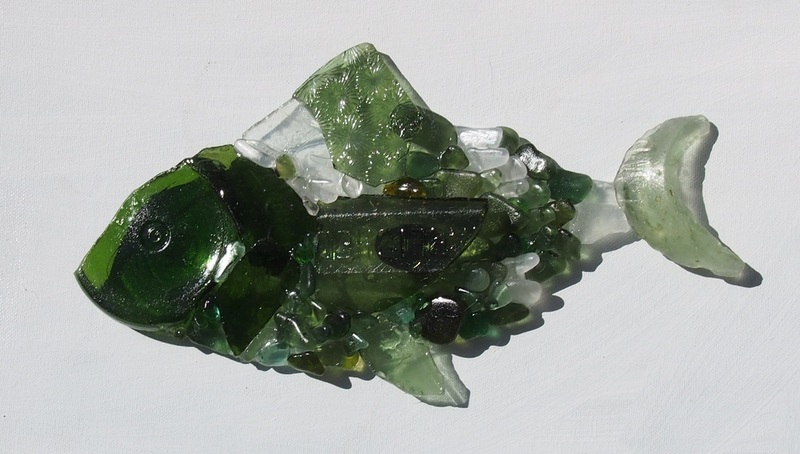 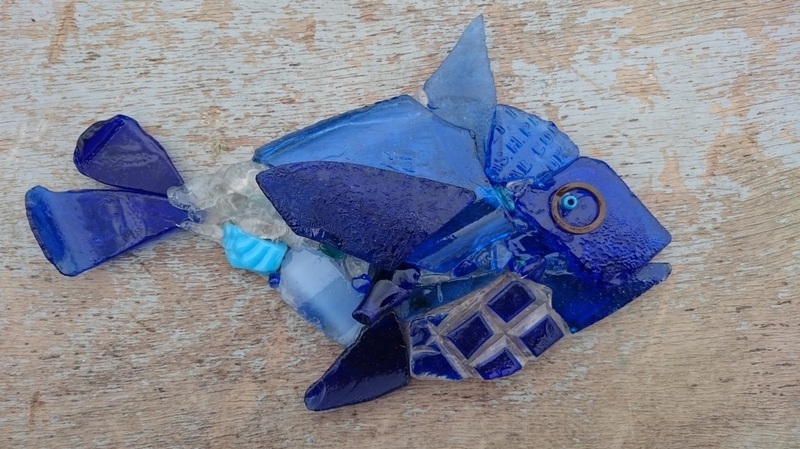 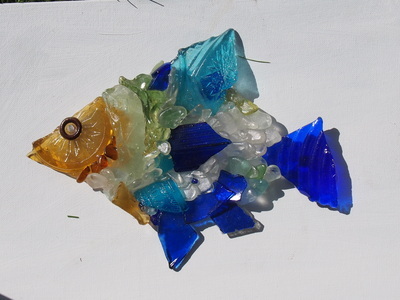 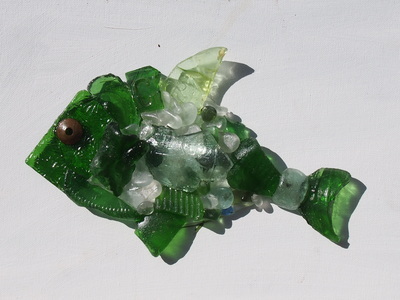 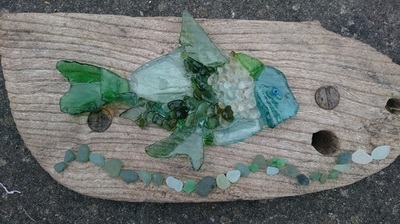 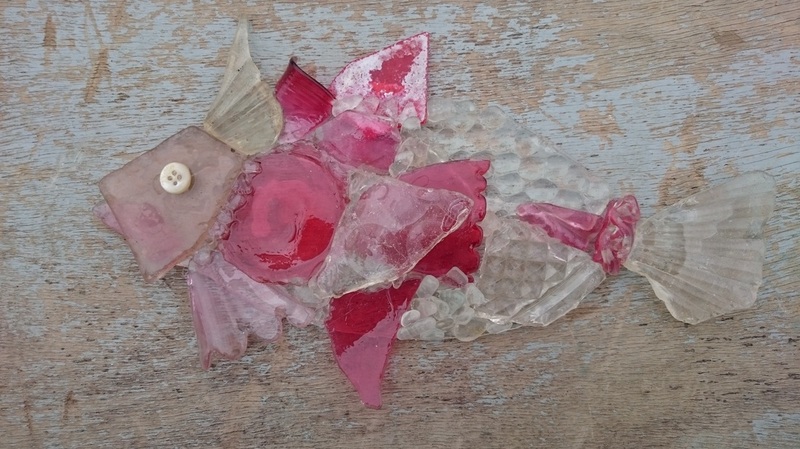 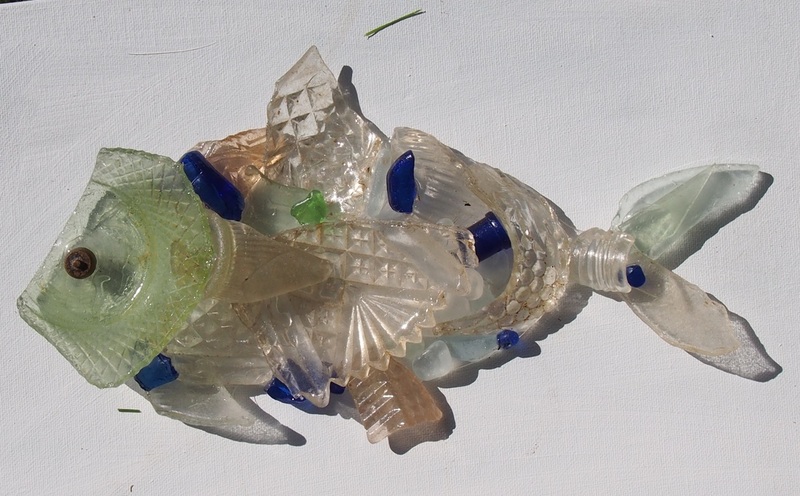 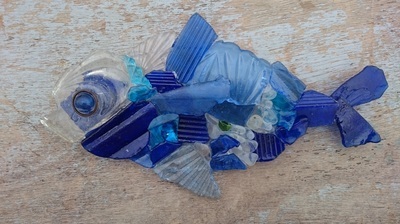 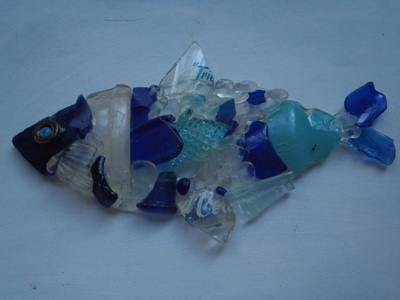 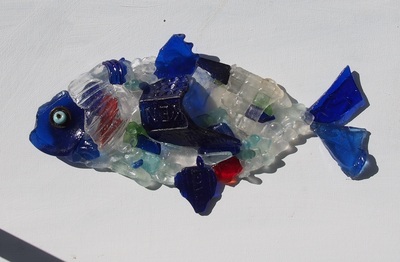 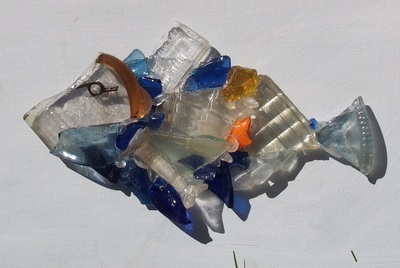 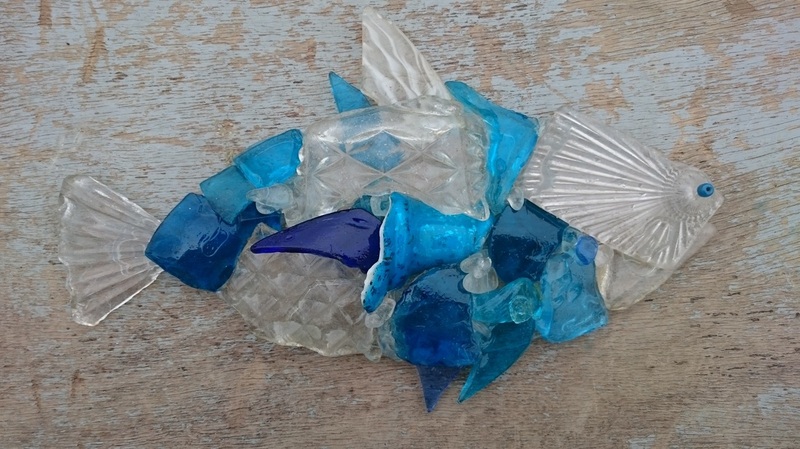 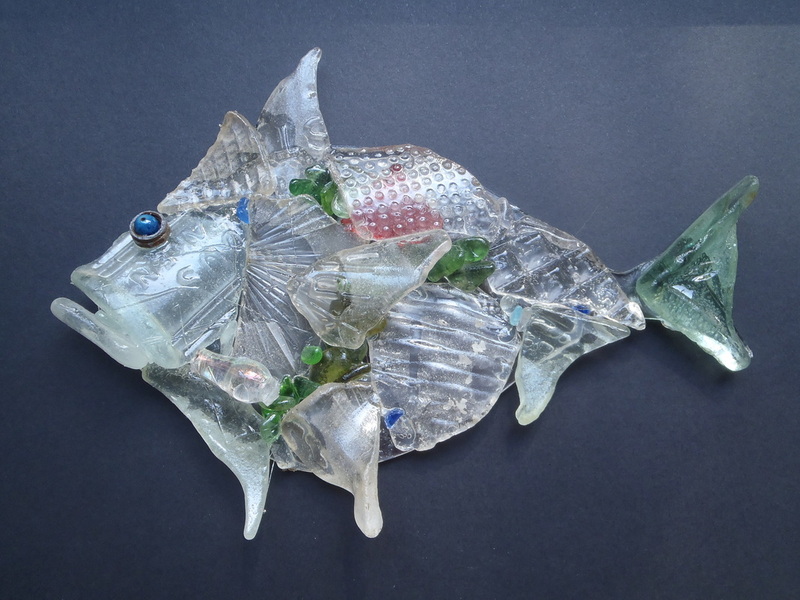 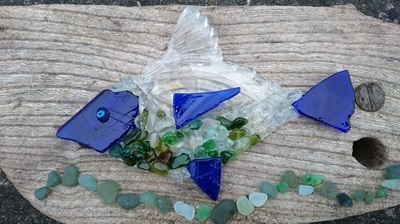 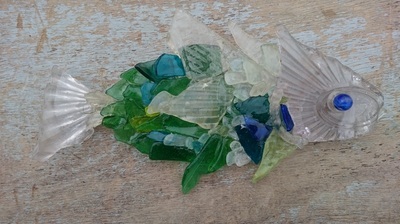 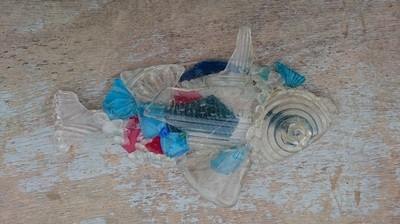 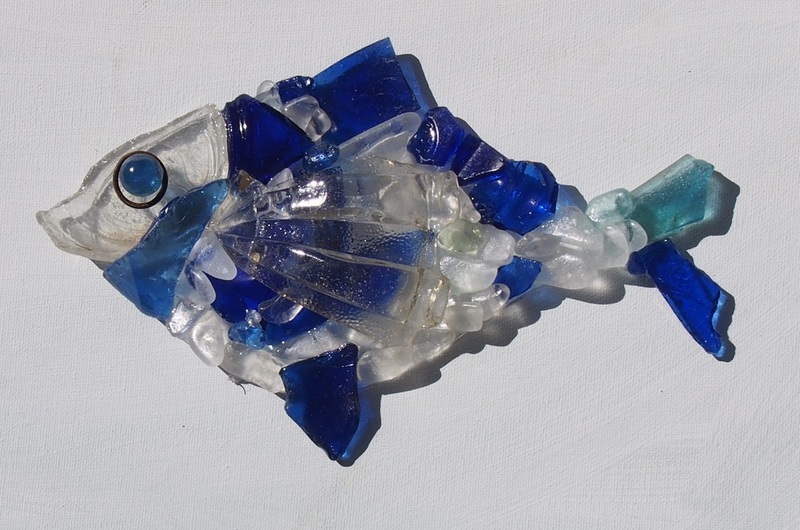 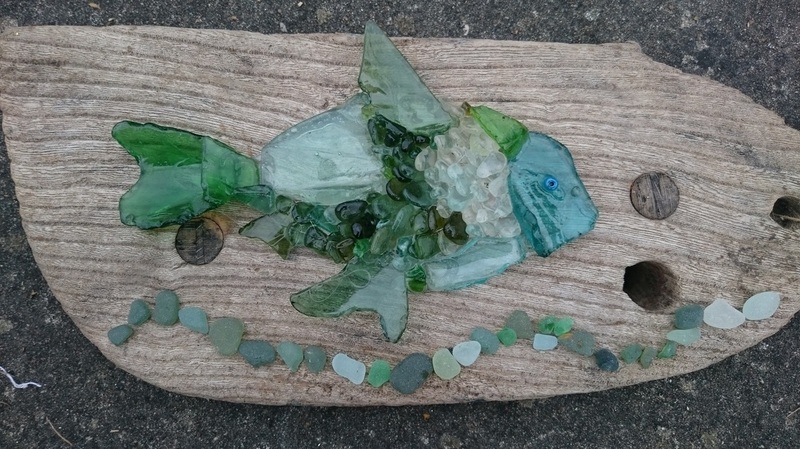 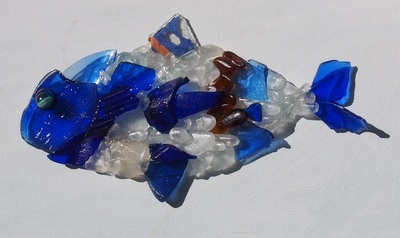 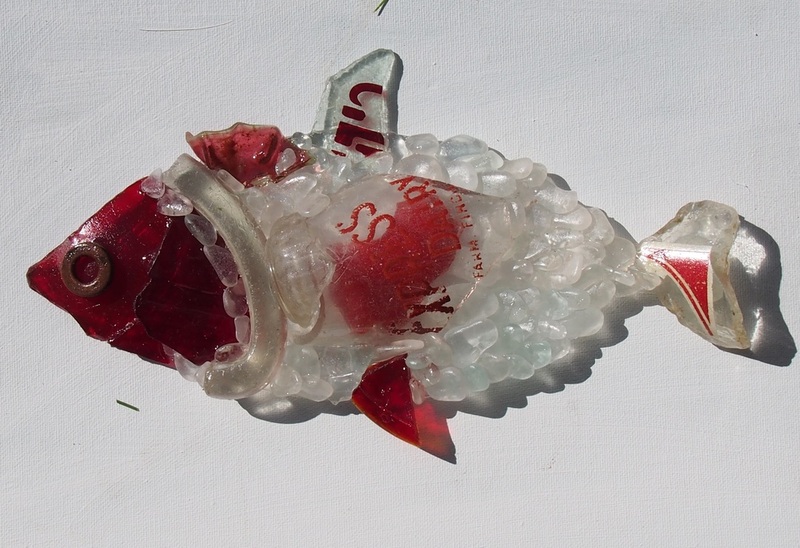 Thames Glass fish are made with fragments of broken glass collected along the foreshore of the Thames. 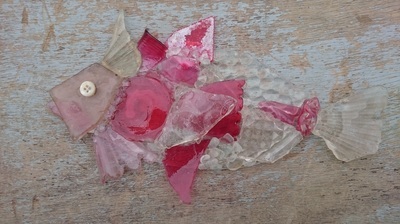 Every fish is unique and each piece of glass has its own secret story. Perhaps from a Victorian bottle, or a perfume bottle, or a glass lampshade or ornament. 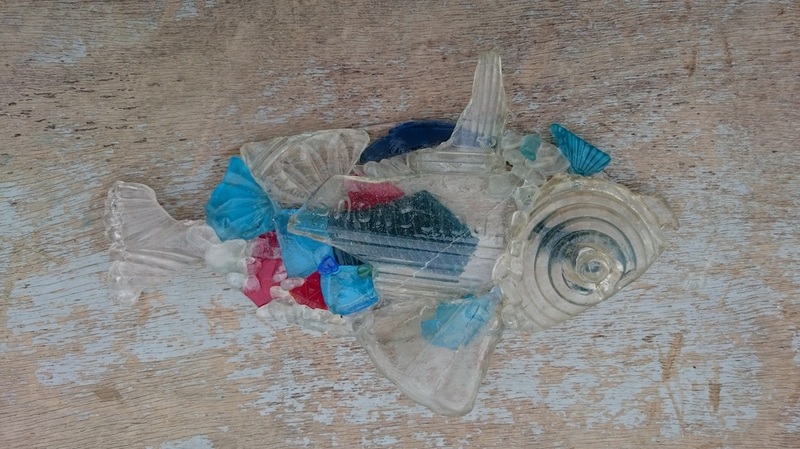 Most of the glass is Victorian or early twentieth century.The dimensions of each fish varies between 20 and 30 centimetres length and 15 centimetres width.